Lights. The unsung heroes of home décor. 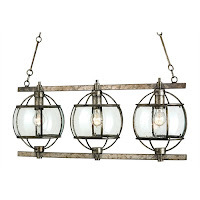 From rustic farms to seashore mansions, the right light can illuminate a room in more ways than one. Yet lights can be so subtle, that we sometimes forget their sheer powerful to transform a space. If you’ve been stuck in the dark ages, here are a few timeless pieces to bring back the light. Don’t let the name fool you. 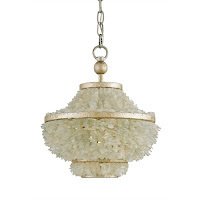 This Currey & Company Shoreline Pendant is much more than waterfront cottage décor. It’s the class and style of a wrought iron and glass construction rolled in with the glitz and glamour of a Harlow Silver Leaf and tumbled seaglass finish. Hang this gorgeous piece over your dining table or main entryway and watch it transform your space and wow your guests. Old is new again and, in the world of electric lights, Thomas Edison’s orbs are as old as it gets. 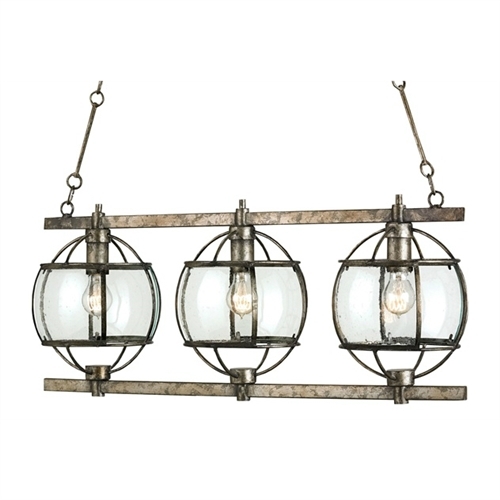 Which is why this three-light Currey & Company Broxton Rectangular Chandelier is all the rage, illuminating trendy city lofts and country farms alike. Bronze and steel combine with old-school incandescent light bulbs (more filaments please!) to give this piece a distinctly industrial chic look. Looking for the perfect blend of industrial and contemporary? You just found it! The Currey & Company Timpano Small Pendant is unpretentiously simple, yet intriguingly sophisticated. 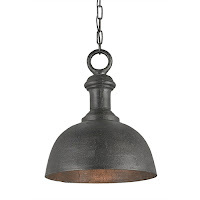 Its aluminum dome shaped body and antique charcoal finish make it easy to incorporate into any style of home décor, but it will probably look best in your hallway or over the kitchen sink. 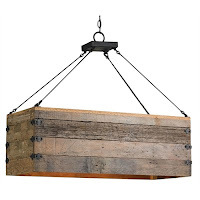 For centuries iron and timber have worked together to bring us some of the world’s finest and sturdiest structures, and this three-light Currey & Company Billycart Rectangular Chandelier is no exception. Riveted wrought iron hardware unites with gorgeous natural aged wood to create an authentic rough luxe design. Hang it in your main living space or dining area to make a bold statement. For more lighting and other home décor ideas, visit PurpleRoseHome.com.